This class is for Ottolenghi fans who have drooled over the pages of his bestselling cookbooks, but feel daunted to cook from them, either the ingredient lists seem too long or full of unfamiliar names. Come join Camila, an Ottolenghi fan for years, at 18 Reasons for a chance to take on these recipes and meet other Ottolenghi fans. Camila's love for Ottolenghi's work is epitomized by her framed autographed menu hanging in her kitchen, from when she dined at his restaurant for her birthday in 2009. Yotam happened to be sitting at the next table! 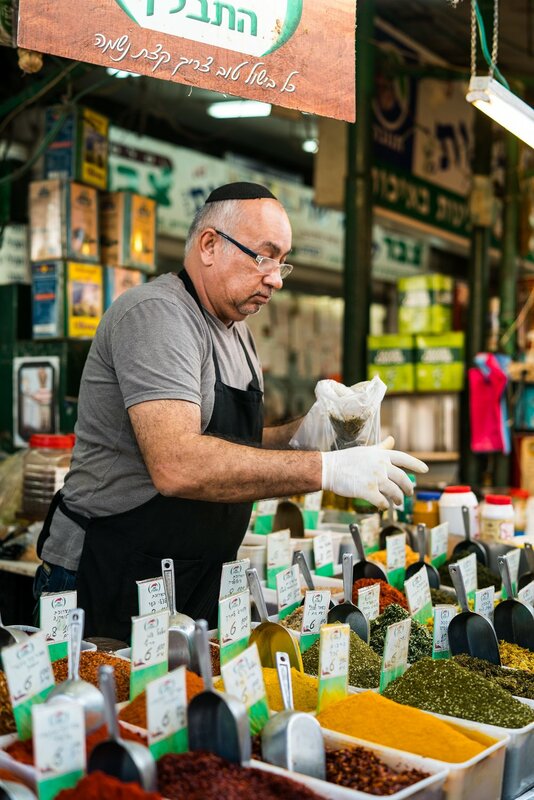 "Crack the Cookbook" with some of her favorite recipes from Jerusalem, and feast on an exotic style of eating that feels very much at home. Camila will create a relaxed atmosphere where you'll work in teams to make these dishes to share as a class, as well as teach you her tips and tricks in approaching Ottolenghi's recipes to make them less intimidating for home. Once we "Crack the Cookbook" you will have the skills, the freedom, and the courage to tackle and explore the rest of the book on your own. Sign up here, only a few spots left!